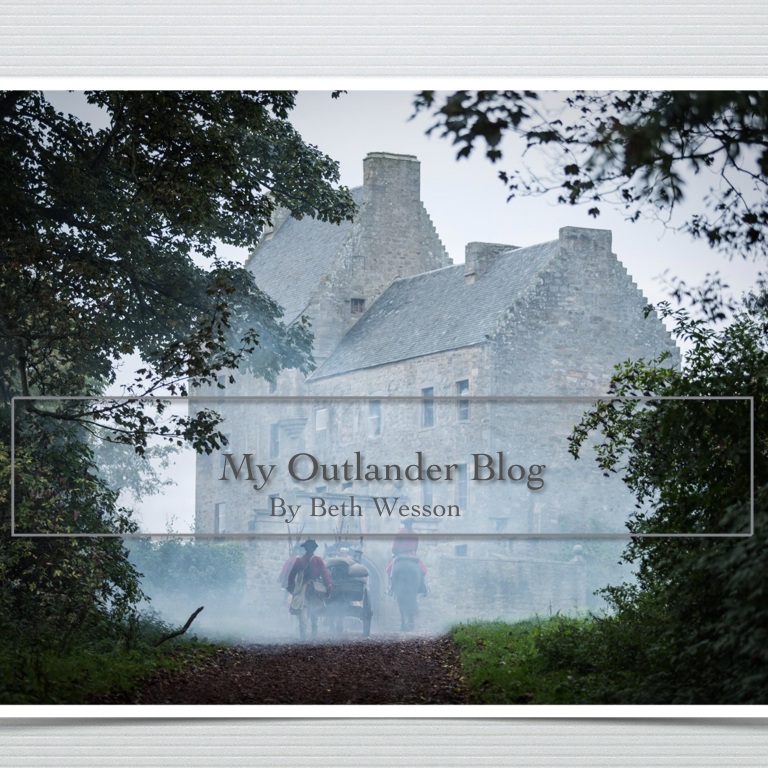 Outlander reflection – My Outlander Blog! I have a friend who has to practice patience because her nature is in short supply. She tries very hard not to frown or express her frustration, disapproval or downright anger because she is aware that she has a tendency to overreact and walking through life expecting to be pissed off at any moment doesn’t bring her much peace. You would think the universe would repay her efforts by subjecting her to less motivation for pissed-offness. But, no…if there is an inexperienced sales-person or cashier or bank-teller or person who could be called for all intensive and expedient purposes an idiot, they are completely attracted to her. Watching her trying to practice patience amidst all the provocation is almost painful and yet, somewhat comical. After she has calmed down from the latest provocation, we often have a good laugh about her being a trouble magnet. I was thinking about my friend today while thinking about how Outlander on Starz will be introducing us to one of my favorite characters, Ian Fraser Murray. Like my friend, Young Ian is a magnet for trouble and has been since the day he was born. I think it is only fitting that Jamie Fraser was there the day his nephew Ian arrived and that they would both get into trouble together almost immediately. If you remember, Jamie has come down from the cave to Lallybroch because he is concerned about Jenny giving birth while her husband is gone. Superstitious Jamie sees three black corbies outside the house and shoots at the bad omens. Reassuring everyone in the house that it was just an accident, Jamie goes upstairs to check on his sister who has just given birth to her new son, young Ian. Jenny always concerned for her brother’s lonely state, talks to him of the future and remarriage. Jamie is holding his new-born nephew and becomes visibly agitated with his sister’s meddling and it is perhaps why he didn’t hear the redcoats until it was almost too late. Upon hearing the soldiers, he jumps into the big wardrobe to hide, but he still has baby Ian in his arms. Quick thinking by Jenny and Jamie’s tucking his thumb into the about to wail infant’s mouth saves them from certain discovery. It won’t be the last time Ian and Jamie have a close call because if there is an unusual situation fraught with peril it is completely attracted to Young Ian and this causes no shortage of trouble for those who love him. Jamie explains to Claire that Ian is indeed one of those people whom things happen to through no real fault of their own…ie: trouble magnet. And, like my friend who attracts the inept or idiotic, although not funny at the time, there is often a lot to chuckle about after the fact. Some of the most heart warming and funny scenes in the books revolve around Ian and the unusual situations he gets into. In fact, most of Voyager’s action revolves around trying to rescue the adorably awkward young Ian from one scrape or another, from the fire at the print shop to his kidnapping and rescue. Diana’s description of Young Ian as a baby stork, nearly burnt and definitely singed, pink skinned, missing eyebrows and some hair, is definitely comical. In Drums of Autumn, his sincere, but rushed proposal to Brianna, hair slicked back with bear grease in an attempt to look presentable…comical. His good bye to his uncle while wearing a newly plucked hairline and tattooed face? 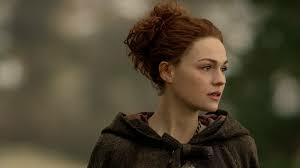 His revealing to Bree his reasons for returning home from the Mowhawk? Not amusing even upon restrospect, but instead some of the most deeply moving scenes I have ever read. Kudos to Diana Gabaladon for creating such well developed and human characters and situations. One of my favorite scenes between the two is when the prodigal sons return to Lallybroch to face rightfully angry parents, Ian and Jenny, who give Jamie a taste of what it must have been like for his own father. 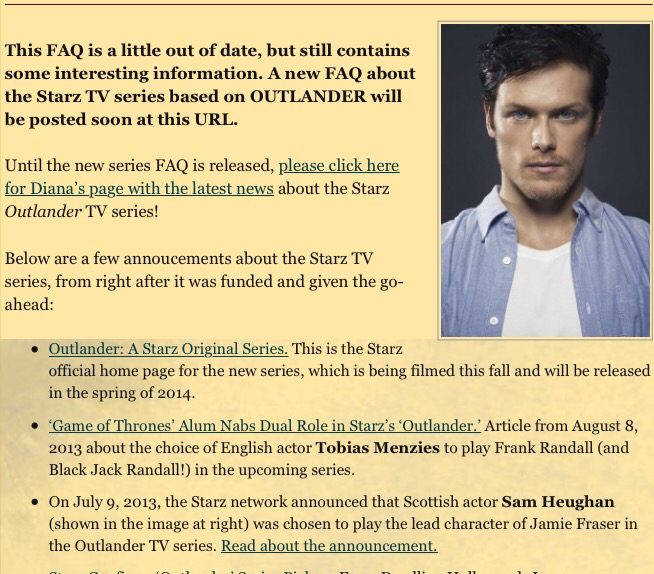 I’ve always mourned Jamie’s not being able to raise his own children. But, thank goodness Diana did not spare him or us the joy of watching him navigate the waters of parenthood, albeit through children not of his loins. There are so many wonderful scenes between Jamie and Young Ian of the completely frustrating and irritating joys of parenthood. You all know the mother’s curse right? “Someday I hope you’ll have a child just like you”? I love how Diana Gabaldon is constantly playing with expectations in her stories. Young Jamie is more like the older Ian in temperament and young Ian is more like Jamie, a Fraser through and through. I think Young Ian is Jamie’s mother’s curse, a child much like himself. Ian isn’t as biddable as his other siblings and gives his parents a lot more trouble. Ian doesn’t appear to be satisfied to stay home and farm, he possesses a lust for adventure and life beyond what can be offered at Lalleybroch. Like Jamie, he is funny without meaning to be and a curious combination of wordly wise and wided eyed innocence. Like Jamie, Young Ian appears to understand the truth about the world and the people in it. Like his uncle, Young Ian seems to move effortlessly from one world to the other from Highland lad to Mowhawk and back again. He is self-assured, but not arrogant. He is truthful and willing to admit his mistakes. Like his uncle, Ian is fiercely loyal and protective of those whom he sees as his responsibility. And, like his father, Young Ian is always there to protect Jamie’s weak side. Diana’s choice to have Young Ian’s identity so closely linked to the wolf is a brilliant and apt one. Wolves have a high degree of adaptability. They learn easily and retain their knowledge for a long period of time. They form strong emotional attachments. Ian, Wolf’s Brother, is indeed himself a tame wolf and all that entails. He is gentle and affable, but can be become every bit the feral “wolf” when the need to protect his clan is called. He loves unconditionally and ferociously. I just got done re reading Written in My Hearts Own Blood and was struck by the man young Ian had become and his capacity to love unconditionally. I especially love the relationship between Young Ian and William Ransom. Ian is loyal to the prickly William and puts his life on the line for him just because William is part of his clan. He doesn’t expect anything in return. Despite her rejection of him, he loves Works with Her Hands and even on the day of his marriage to another woman does her honor, but lays that love aside for Racheal, his peace loving Quaker, who is also pretty good at loving unconditionally. A small flash of hazel told him not to quibble. She gave him an even look. Trouble Magnet, Mother’s Curse, Wolf”s Brother, I can’t wait to meet all three.